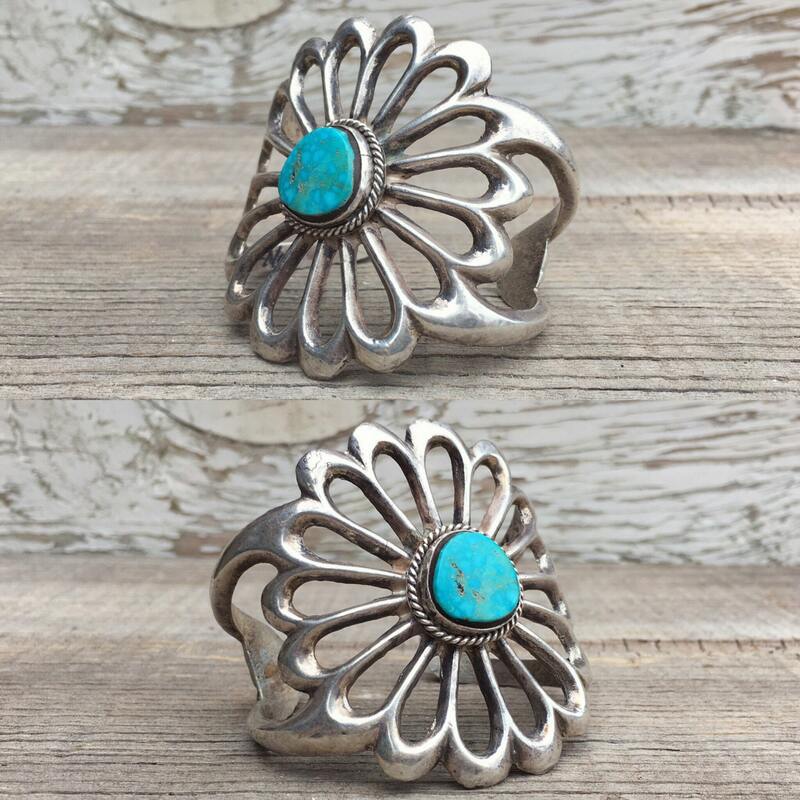 Here we have a LARGE and fabulous old sandcast silver and turquoise flower cuff with a gorgeous cabochon of natural turquoise, likely Indian Mountain, with a bit of brown matrix. 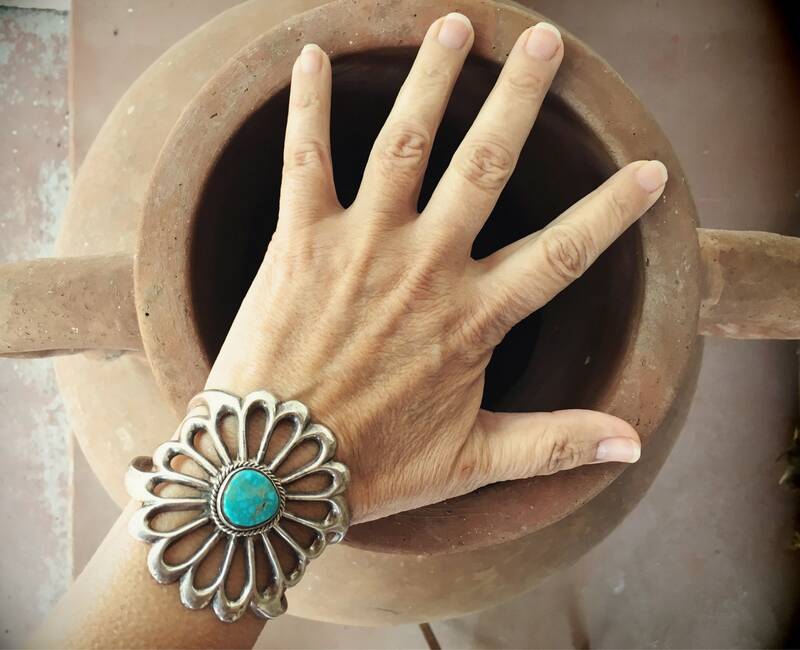 The silver has a gorgeous patina that looks like it has been worn, as opposed to the tarnish that gathers with no wearing; by contrast this piece still looks bright yet aged, the kind of color that comes from continuous wear against the skin. We see some irregularity in the sandcast that tells us it's probably tufa cast and likely 1950s. 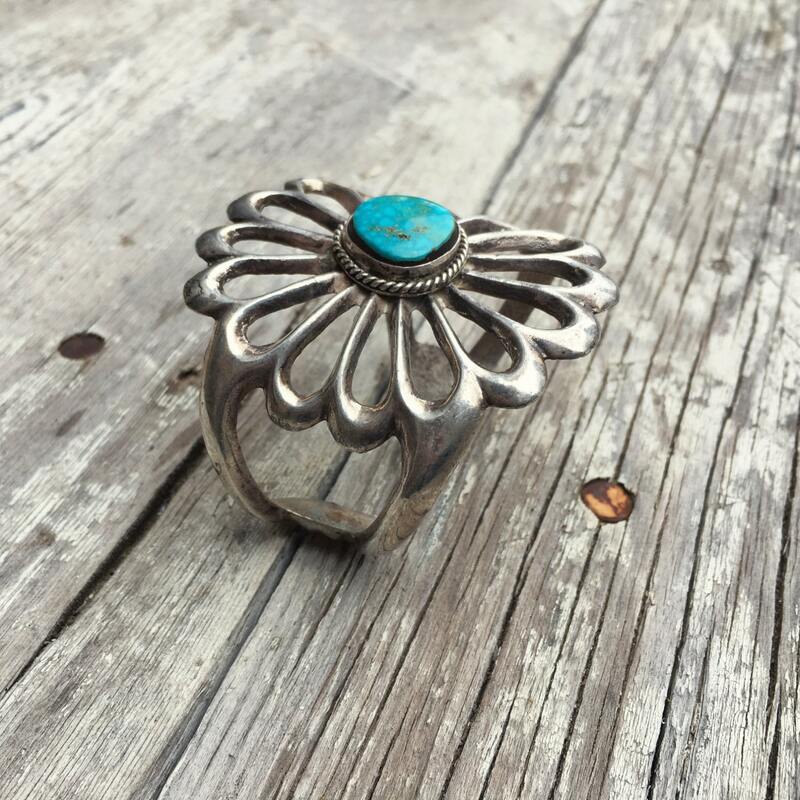 The piece does not carry any stamp or hallmark, and so while we can't say for certain that it is Native American, we believe it is Navajo. 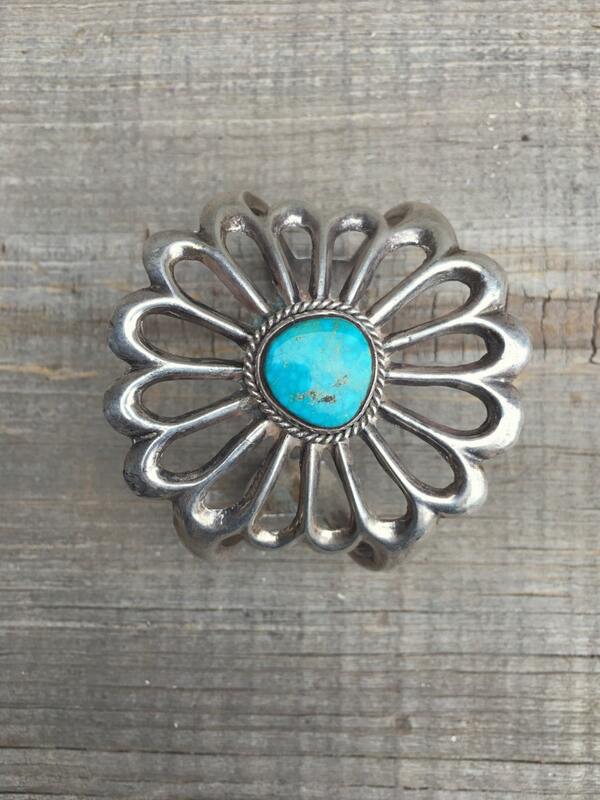 The face of the flower measures about 2-1/2" in diameter, and the cuff measures about 5-1/2" inside taking a soft tape, with a 1-1/16" gap. 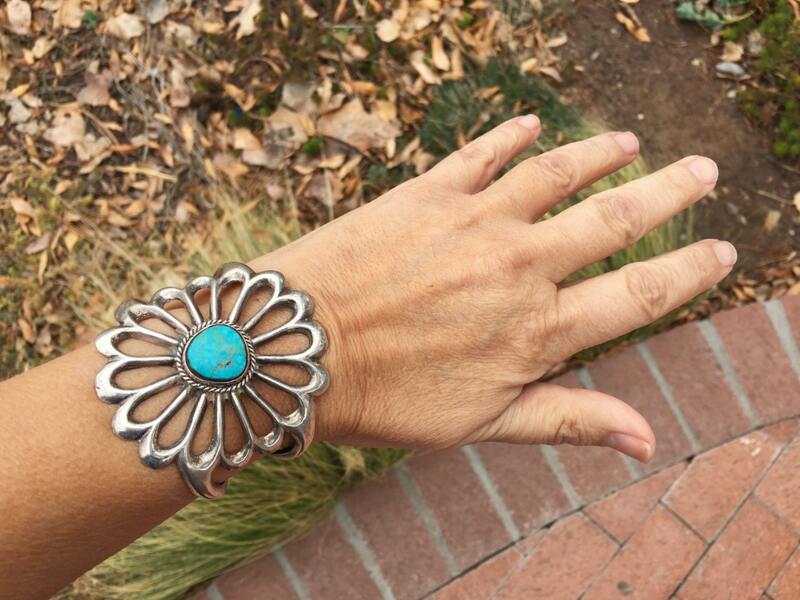 Perfect for a smaller-to-medium-small wrist size. 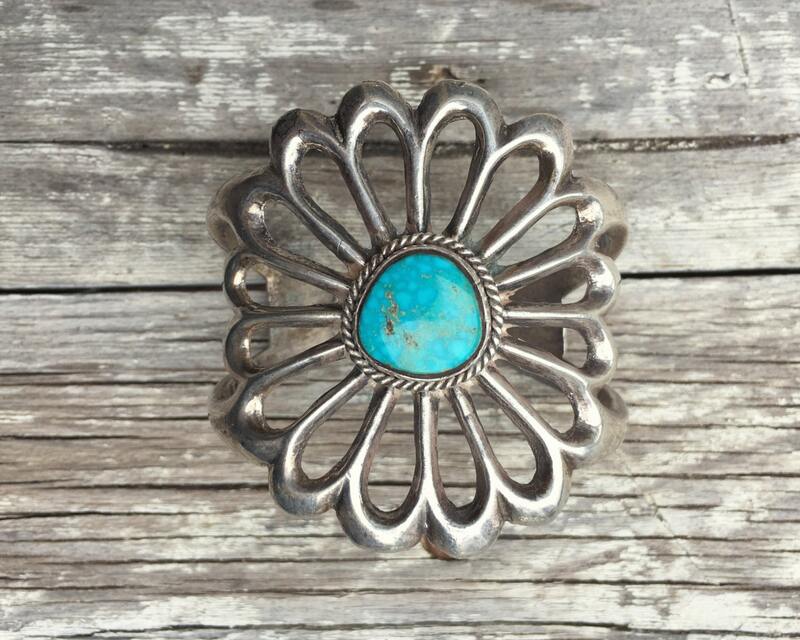 The cabochon measures 5/8" across by 5/8" long is is surrounded by twist wire. In great vintage condition.